If you would have told me a few hours ago that Lil Yachty would be the one to revive me from what felt like a deadly hangover from the estimated six gallons of wine that I drank at a work event last night, I probably would not have believed you and I definitely would have asked you to please not talk so loud. And yet, here we are! Released Friday, “Bring It Back” is the third single off of 19-year-old Lil Yachty’s debut album Teenage Emotions, which will be released in full on May 26. 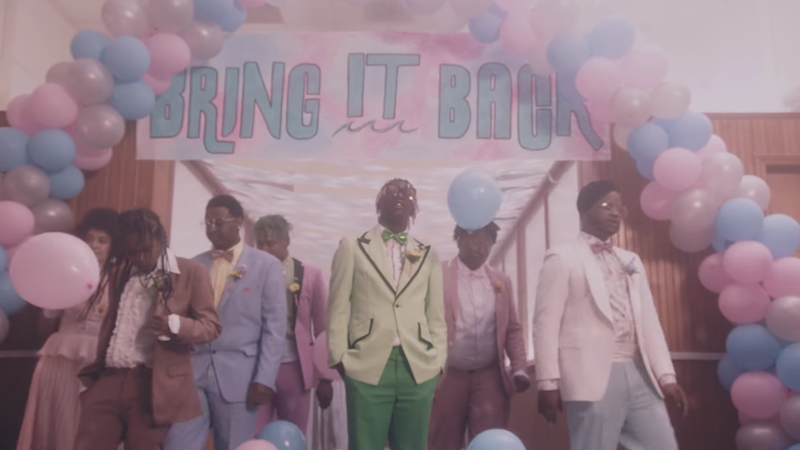 The “Bring It Back” video is an adorable prom homage, full of powder blue tuxedoes, wide lapels, and pastel pinks. Aw, I feel much better now.